If you have made the momentous decision to move to Australia, then it’s likely that you have a lot of things on your to-do list right now. While things like visa’s and moving arrangements need to be sorted, you also need to make sure you familiarise yourself with the new insurance obligations that come with emigrating. There are some slightly different rules in Australia concerning insurance, and some new terminology you will need to master to not only ensure you’re not breaking the law – but also to make sure you get the best possible deal. If you’re moving yourself, your loved ones and all of your collective belongings to the other side of the world, then it’s a very good idea to get travel insurance to cover your journey. Usually when looking for a good deal on travel insurance, you are looking to cover both and outward and return journey – so will be comparing regular travel insurance providers online to find the best deal to suit you. However, in the case of emigrating you may find that a more specialist one-way travel insurance policy gives you the best deal. As the name suggests, one way travel insurance covers only an outward-bound journey that you make from the UK – as well as any stop-overs you might be making on your trip. Many standard travel insurance policies can also be used as one-way cover, however you will need to notify your insurer before your trip and also find out exactly what cover they provide on a one-way basis. Specialist one-way travel policies differ from standard ones as they are tailored specifically for one-way travel, and come with a limited timeframe of when they are active – usually lasting a week from the point of leaving the UK. Therefore they can often work out much cheaper than the traditional single-trip or multi-trip travel insurance policies, and provide you with the level of cover you need while moving to Australia. Health care is perhaps the biggest area where Australia differs from the UK when it comes to insurance. In the UK we have the NHS, which is free at the point of service and is paid for via taxation and National Insurance contributions. Australia’s health care system is slightly different, in that it is a hybrid of both public and private health care provision. The public ‘free-to-all’ service in Australia is called Medicare, and expats from the UK have access to this thanks to the Reciprocal Health Care Agreement (RHCA) between the two countries. However, access to Medicare only extends to ’emergency treatment’ and does not include non-emergency visits to a doctor or dentist or optician, physio, chiro treatment. Basically, you get the A+E department – but everything else you need in terms of health care will need to be paid for via the private system. 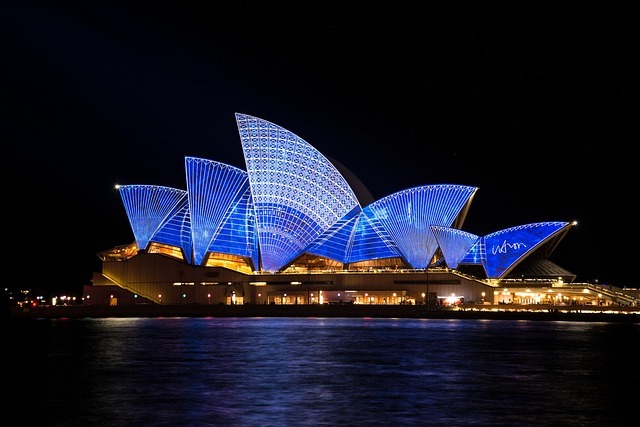 Those moving to Australia to live and work on a working visa are required to prove to the Australian authorities that they have adequate health insurance cover before being granted their visa. Even if an expat is a citizen of a country with an RHCA, they will still be required to take out health insurance cover in order to qualify for the visa, as they can only enrol in Medicare from within Australia and are not entitled to Medicare benefits for the first two years of living in Australia (while they wait for their permanent residency to be granted). So if you are moving to Australia, you need to make sure you have health insurance arranged before leaving the UK. There are some slight differences regarding the types of car insurance cover available in Australia, and what cover is compulsory. Here in the UK we typically have third party only (TPO), third party, fire and theft (TPFT) and comprehensive cover as our car insurance options. With the minimum level of cover – TPO – being compulsory in order to drive on UK roads. In Australia there are four types of motor insurance policies: Compulsory Third Party (CTP) Insurance; Fire and Theft Only; Third Party Property Only and Comprehensive Insurance. CTP or ‘greenslip’, as it’s most commonly known as in NSW, is mandatory in all of the Australian States and Territories, and covers the driver for any legal liability if their negligence causes an injury or death is caused to a third party e.g. other drivers, passengers, cyclists or pedestrians. CTP insurance doesn’t give you any cover for damage to vehicles, so other forms of car insurance should be bought in Australia to make sure you are covered. Fire and Theft Only is insurance cover that is limited to just fire damage to your vehicle and theft. Again, this does not cover any accidental damage to your vehicle. Third Party Property Only covers any damage caused by your vehicle to another vehicle i.e. if you crash into them. As the name suggests, only the damage to the third party vehicle is covered, so any resultant damage to your car will not be covered. Typically, this cover tends to be taken out by drivers who have quite a low value vehicle so they are just protected against damage caused to other vehicles.